If you would like to know whether any of these items are available, please send us an email or search the catalog. Unless otherwise noted, items are located in the Main Library. Choose Month--> 08/2018 06/2018 05/2018 04/2018 02/2018 01/2018 12/2017 10/2017 11/2016 10/2016 9/2016 7/2016 6/2016 5/2016 5/2016 3/2016 2/2016 1/2016 Archive--updated monthly. Energy Production Systems Engineering presents IEEE, Electrical Apparatus Service Association (EASA), and International Electrotechnical Commission (IEC) standards of engineering systems and equipment in utility electric generation stations. Electrical engineers that practice in the energy industry must understand the specific characteristics of electrical and mechanical equipment commonly applied to energy production and conversion processes, including the mechanical and chemical processes involved, in order to design, operate and maintain electrical systems that support and enable these processes. To aid this understanding, Energy Production Systems Engineeringdescribes the equipment and systems found in various types of utility electric generation stations. This information is accompanied by examples and practice problems. It also addre ses common issues of electrical safety that arise in electric generation stations. There are several different types of energy production systems or electric power systems, which supply, transmit, and use power in different ways. Each system utilizes different equipment and has its own set of standards to follow in order for the system to be operated safely and reliably. 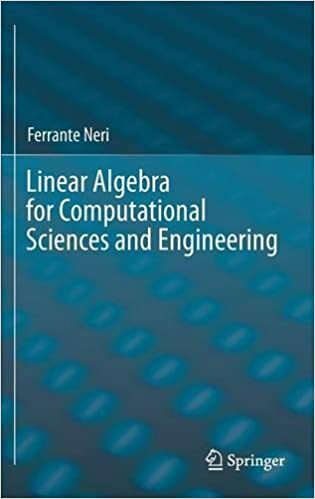 This book enables engineers and students to acquire through study the pragmatic knowledge and skills in the field that could take years to acquire through experience alone. This book discusses the cyber-assurance needs of the IoT environment, highlighting key information assurance (IA) IoT issues and identifying the associated security implications. Through contributions from cyber-assurance, IA, information security and IoT industry practitioners and experts, the text covers fundamental and advanced concepts necessary to grasp current IA issues, challenges, and solutions for the IoT. The future trends in IoT infrastructures, architectures and applications are also examined. Other topics discussed include the IA protection of IoT systems and information being stored, processed or transmitted from unauthorized access or modification of machine-2-machine (M2M) devices, radio-frequency identification (RFID) networks, wireless sensor networks, smart grids, and supervisory control and data acquisition (SCADA) systems. The book also dis usses IA measures necessary to detect, protect, and defend IoT information and networks/systems to ensure their availability, integrity, authentication, confidentially, and non-repudiation. Cyber-Assurance for the Internet of Things is written for researchers and professionals working in the field of wirele s technologies, information security architecture, and security system design. This book will also serve as a reference for professors and students involved in IA and IoT networking. This book has a specific focus on advanced methods for programming Body Sensor Networks (BSNs) based on the reference SPINE project. It features an on-line website (http://spine.deis.unical.it) to support readers in developing their own BSN application/systems and covers new emerging topics on BSNs such as collaborative BSNs, BSN design methods, autonomic BSNs, integration of BSNs and pervasive environments, and integration of BSNs with cloud computing. The book provides a description of real BSN prototypes with the possibility to see on-line demos and download the software to test them on specific sensor platforms and includes case studies for more practical applications. Wearable Computing: From Modeling to Implementation of Wearable Systems Based on Body Sensor Networks is a great reference for systems architects, practitioners, and product developers. Now in its sixth edition, Risk Communication has proven to be a valuable resource for people who are tasked with the responsibility of understanding how to apply the most current approaches to care, consensus, and crisis communication. The sixth edition updates the text with fresh and illustrative examples, lessons learned, and recent research as well as provides advice and guidelines for communicating risk information in the United States and other countries. Presents real-world case studies with key lessons all risk communicators can apply. Written for engineers, scientists, professors and students, land use planners, public health practitioners, communication specialists, consultants, and regulators, the revised sixth edition of Risk Communication is the must-have guide for those who communicate risks. This book covers the full spectrum of TVWS technology including regulations, technology, standardizations, and worldwide deployments. It begins with an introduction to cognitive radio and TVWS. The regulation activities in TVWS throughout North America, Europe, and Asia Pacific are covered in depth. After a discussion of regulations, the authors examine the standardizations developed to specify the enabling technologies of TVWS systems. The following chapter focuses on the key technologies that differentiate TVWS from a conventional wireless communication system. TV White Space: The First Step Towards Better Utilization of Frequency Spectrum is written for telecommunications/networks operators, researchers, engineers, government regulators, technical managers, and network equipment manufacturers. Ser Wah Oh is the Head of the White Space Communications Department at the Institute for Infocomm Research (I2R), Singapore. He is also the co-founder and co-chair of the Singapore White Spaces Pilot Group, co-chair of Singapore TVWS Task Force, and member of Singapore Telecom Standards Advisory Committee. He previously led a eam to contribute to the Federal Communications Commission (FCC) TVWS field trial in 2008 that helped to shape the TVWS landscape today. Probabilistic Analysis and Related Topics, Volume 1 focuses on the continuity, differentiability, and integrability of random functions, including functional analysis, operator theory, measure theory, and numerical analysis. The selection first offers information on stochastic partial differential equations in turbulence related problems and estimation and stochastic control for linear infinite-dimensional systems. Discussions focus on deterministic quadratic cost-control problem; partial differential equations in stochastic wave propagation; and theory of stochastic partial differential equations. The text then examines random integrodifferential equations, including small perturbations, existence and uniqueness of solutions, stochastic properties of solution processes, and vibration string. The manuscript ponders on equivalence and singularity of Gaussian measures and applications and stochastic Riemannian geometry. Concerns include semilocal properties, Brownian motion, reproducing kernel Hilbert spaces and Gaussian processes, equivalence and singularity of Gaussian processes, and general problem of equivalence and singularity. The selection is a vital source of information for mathematicians and researchers interested in the general theory of random functions. This book offers a comprehensive and updated overview of the theory, algorithms and applications of electromagnetic inverse scattering problems. Fundamental theories including mathematical derivation and physical insights of both forward and inverse electromagnetic scattering will be emphasized, and 2-dimentional and 3-dimensional problems covered. Readers will be introduced to reconstruction algorithms for both small-size and large-size scatterers, as well as qualitative and quantitative reconstruction algorithms. Inverse scattering taking into account different boundary conditions are also discussed before imaging resolution and applications are tackled from a new perspective. Written by a leading expert in the field, Numerical Methods for Electromagnetic Inverse Scattering is an essential reference for researchers in electrical engineering, physics and applied mathematics. Graduate students and practicing engineers specializing in areas like remote sensing, military surveillance, biomedical diagnosis, nondestructive testing/evaluation, and oil exploration would also find it an insightful guide. Smart grid is a transformational upgrade to the traditional power grid that adds communication capabilities, intelligence and modern control. Smart Grid Communication Infrastructures is a comprehensive guide that addresses communication infrastructures, related applications and other issues related to the smart grid. The text shows how smart grid departs from the traditional power grid technology. Fundamentally, smart grid has advanced communication infrastructures to achieve two-way information exchange between service providers and customers. Written for graduate students, professors, researchers, scientists, practitioners and engineers, Smart Grid Communication Infrastructures is the comprehensive resource that explores all aspects of the topic. Energy Conservation in Residential, Commercial, and Industrial Facilities offers an essential guide to the business models and engineering design frameworks for the implementation of energy conservation in infrastructures. The presented models of both physical and technological systems can be applied to a wide range of structures such as homes, hotels, public facilities, industrial facilities, transportation, and water/energy supply systems. The authorsnoted experts in the fieldexplore the key performance indicators that are used to evaluate energy conservation strategies and the energy supply scenarios as part of the design and operation of energy systems in infrastructures. Written for students studying energy conservation as well as engineers designing the next generation of buildings, Energy Conservation in Residential, Commercial, and Industrial Facilities offers a wide-ranging guide to the effective management of energy conservation in infrastructures. Summary from eBook Central: This second edition provides comprehensive information on electromagnetic acoustic transducers (EMATs), from the theory and physical principles of EMATs to the construction of systems and their applications to scientific and industrial ultrasonic measurements on materials. 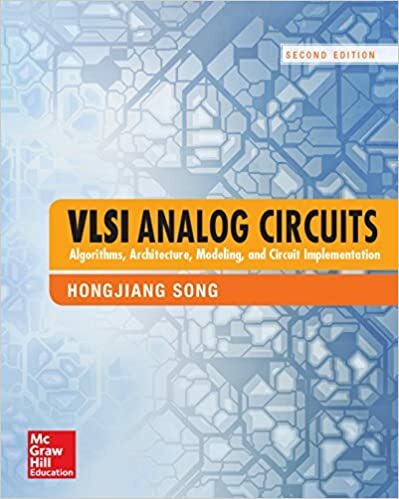 The original version has been complemented with selected ideas on ultrasonic measurement that have emerged since the first edition was released. The book is divided into four parts: PART I offers a self-contained description of the basic elements of coupling mechanisms along with the practical designing of EMATs for various purposes. Several implementations to compensate for EMATs' low transfer efficiency are provided, along with useful tips on how to make an EMAT. PART II describes the principle of electromagnetic acoustic resonance (EMAR), which makes the most of EMATs' contactless nature and is the most successful amplification mechanism for precise measurements of velocity and attenuation. PART III applies EMAR to studying physical acoustics. New measurements have emerged with regard to four major subjects: in situ monitoring of dislocation behavior, determination of anisotropic elastic constants, pointwise elasticity mapping (RUM), and acoustic nonlinearity evolution. PART IV deals with a variety of individual issues encountered in industrial applications, for which the EMATs are believed to be the best solutions. This is proven by a number of field applications. Seascape Ecology provides a comprehensive look at the state-of-the-science in the application of landscape ecology to the seas and provides guidance for future research priorities. The first book devoted exclusively to this rapidly emerging and increasingly important discipline, it is comprised of contributions from researchers at the forefront of seascape ecology working around the world. It presents the principles, concepts, methodology, and techniques informing seascape ecology and reports on the latest developments in the application of the approach to marine ecology and management. A growing number of marine scientists, geographers, and marine managers are asking questions about the marine environment that are best addressed with a landscape ecology perspective. Seascape Ecology represents the first serious effort to fill the gap in the literature on the subject. Key topics and features of interest include: The origins and history of seascape ecology and various approaches to spatial patterning in the sea The links between seascape patterns and ecological processes, with special attention paid to the roles played by seagrasses and salt marshes and animal movements through seascapes Human influences on seascape ecology--includes models for assessing human-seascape interactions A special epilogue in which three eminent scientists who have been instrumental in shaping the course of landscape ecology offer their insights and perspectives Seascape Ecology is a must-read for researchers and professionals in an array of disciplines, including marine biology, environmental science, geosciences, marine and coastal management, and environmental protection. It is also an excellent supplementary text for university courses in those fields. Small Cell Networks: Deployment, Management, and Optimization addresses key problems of the cellular network evolution towards HetNets. It focuses on the latest developments in heterogeneous and small cell networks, as well as their deployment, operation, and maintenance. It also covers the full spectrum of the topic, from academic, research, and business, to the practice of HetNets in a coherent manner. Additionally, it provides complete and practical guidelines to vendors and operators interested in deploying small cells. Given the importance of HetNets for future wireless communications, Small Cell Networks: Deployment, Management, and Optimization is sure to help decision makers as they consider the migration of services to HetNets. It will also appeal to anyone involved in information and communication technology. Internet of Things A to Z offers a holistic approach to the Internet of Things (IoT) model. The Internet of Things refers to uniquely identifiable objects and their virtual representations in an Internet-like structure. Recently, there has been a rapid growth in research on IoT communications and networks, that confirms the scalability and broad reach of the core concepts. With contributions from a panel of international experts, the text offers insight into the ideas, technologies, and applications of this subject. Written for ICT researchers, industry professionals, and lifetime IT learners as well as academics and students, Internet of Things A to Z provides a much-needed and comprehensive resource to this burgeoning field. In recent years, offshore floating platforms have been frequently discussed in exploring deep-water resources such as oil, gas, and wind energy. This book presents step-by-step shipboard electrical system design and verification fundamentals and pr vides information on individual electrical devices and practical design examples, along with ample illustrations to back them. Pulsed power technologies could be an answer to many cutting-edge applications. The challenge is in how to develop this high-power/high-energy technology to fit current market demands of low-energy consuming applications. This book provides a comprehensive look at pulsed power technology and shows how it can be improved upon for the world of today and tomorrow. Foundations of Pulsed Power Technology will be an invaluable companion for professionals working in the fields of relativistic electron beams, intense bursts of light and hea y ions, flash X-ray systems, pulsed high magnetic fields, ultra-wide band electromagnetics, nuclear electromagnetic pulse simulation, high density fusion plasma, and high energy- rate metal forming techniques. Summary from eBook Central: This book discusses in detail the science and morphology of powerful hurricane detection systems. It broadly addresses new approaches to monitoring hazards using freely available images from the European Space Agency's (ESA's) Sentinel-1 SAR satellite and benchmarks a new interdisciplinary field at the interface between oceanography, meteorology and remote sensing. Following the launch of the first European Space Agency (ESA) operational synthetic aperture radar satellite, Sentinel-1, in 2014, synthetic aperture radar (SAR) data has been freely available on the Internet hub in real-time. This advance allows weather forecasters to view hurricanes in fine detail for the first time. As a result, the number of synthetic aperture radar research scientists working in this field is set to grow exponentially in the next decade; the book is a valuable resource for this large and budding audience. 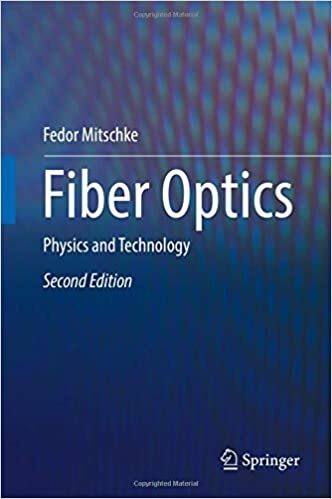 This book examines differential-mode, or balanced, microwave filters by discussing several implementations of practical realizations of these passive components. Topics covered include selective mode suppression, designs based on distributed and semi-lumped approaches, multilayer technologies, defect ground structures, coupled resonators, metamaterials, interference techniques, and substrate integrated waveguides, among others. Balanced Microwave Filter is an important text for R&D engineers, professionals, and specialists working on the topic of microwave filters. Post graduate students and Masters students in the field of microwave engineering and wireless communications, especially those involved in courses related to microwave filters, and balanced filters and circuits will also find it to be a vital resource. Well before the end of this century, solar power will be the world's dominant power source. This book looks at the origins of this smart sustainable energy technology, tracing the pioneering years from its inception following the 1973 oil crisis to the end of the last millenniumjust as the sector was poised for explosive growth. It focuses on the progress of the early terrestrial photovoltaic sector, often in the face of skepticism or apathy. It also covers the research and achievements of people and organizations within the PV business. The Solar Generation is an ideal book for a l professionals in the power and energy field from every corner of the globe. Summary from pg. 4 of cover: In Algorithms of Oppression, Safiya Umoja Noble challenges the idea that search engines like Google offer an equal playing field for all forms of ideas, identities, and activities. Data discrimination is a real social problem. Noble argues that the combination of private interests in promoting certain sites, along with the monopoly status of a relatively small number of Internet search engines, leads to a biased set of search algorithms that privilege whiteness and discriminate against people of color, especially women of color. Through an analysis of textual and media searches as well as extensive research on paid online advertising, Noble exposes a culture of racism and sexism in the way discoverability is created online. As search engines and their related companies grow in importance--operating as a source for email, a major vehicle for primary and secondary school learning, and beyond--understanding and reversing these disquieting trends and discriminatory practices are of utmost importance. Publisher: Nova Science Publishers, Inc. Author:	Kovacic, Ivana; Brennan, Michael J. Publisher: Oxford : Oxford University Press, 2012. Publisher: Cambridge : Cambridge University Press, 2006. Evans, D. J. et al. 2016. Fundamentals of classical statistical thermodynamics: dissipation, relaxation and fluctuation theorems. Wiley-VCH. Gobel, E. O. and Uwe Siegner. 2015. Quantum metrology: foundation of units and measurements. Wiley-VCH. Olsen, G. H. 1986. Electronics made simple, 2nd ed. Heinemann. Zekai, S. 2016. Spatial modeling principles in earth sciences, 2nd ed. Springer. Alfano, Robert R. 2016. The supercontinuum laser source: the ultimate white light, 3rd ed. Springer. Karimi, Hassan A. 2015. Indoor wayfinding and navigation. CRC Press. Knippertz, Peter and Jan-Berend W. Stuut. 2014. Mineral dust: a key player in the earth system. Springer. Seinfield, John H. and Spyros N. Pandis. 2016. Atmospheric chemistry and physics: from air pollution to climate change 3rd ed. Wiley and Sons. Belmudez, Benjamin. 2015. Audiovisual quality assessment and prediction for videotelephony. Springer. TK5105.15 .B45 2015. Fischetti, Massimo V. and William G. Vandenberghe. 2016. Advanced physics of electron transport in semiconductors and nanostructures. Springer. QC611.6.E45 F57 2016. Ghasemi, Abdoolah et al. 2016. Propagation engineering in wireless communications, 2nd ed. Springer. TK 6553 .G43 2016. Hester, R. E. et al. 2016. Airborne particulate matter: sources, atmospheric processes and health, volume 42. Royal Society of Chemistry. TD883 .H487 2016. Orszag, Miguel. 2016. Quantum optics: including noise reduction, trapped ions, quantum trajectories, and decoherence, 3rd ed. Springer. QA446.2 .O76 2016. Russ, Samuel H. 2016. Signal integrity: applied electromagnetics and professional practice. TK7867.2 .R87 2016. Sirca, Simon. 2016. Probability for physicists. Springer. QA273 .S57 2016. Aaen, Peter H. et al. 2007. Modeling and characterization of RF and microwave power FETs. Chave, Alan D. and Alan G. Jones. 2012. The magnetotelluric method: theory and practice. Marshall, John. 1995. Atmosphere, Ocean and Climate Dynamics: an introductory text. Rouphael, Tony J. 2014. 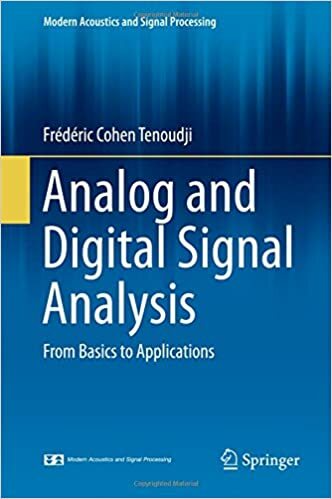 Wireless receiver architectures and design: antennas, RF, synthesizers, mixed signal, and digital signal processing. Visconti, Guido. 2016. Fundamentals of physics and chemistry of the atmospheres, 2nd edition. McLaughin, Peter. 2014. Feedback revolution: from water cooler conversations to annual reviews: how to give and receive effective feedback, positive! candid! timely! revolutionary! Note: the Boulder Laboratories Library does not necessarily endorse the views, facts, services or products on any off site links.